Notnow Collective are looking for a Sound Designer/Composer to join our creative team for the forthcoming period of research and development, culminating in a preview performance at Derby Theatre on 30thMarch 2019. “Pepper and Honey” is a piece about migration, meaning of home, leaving and returning. The story is told through text and movement, and the on-stage live making and baking of traditional Croatian pepper biscuits. The piece is performed in both English and Croatian languages. The set design and the sound will work to represent two geographical settings (UK and a Croatian island). There is a fixed fee of £1000 attached to this phase of the project. Key dates will be between mid Feb and 29thMarch, rehearsing in Birmingham and Nottingham, with the performance on 30thMarch in Derby. Some in-rehearsal dates will be needed. To apply please send in a CV and a letter of interest outlining your practice, interests and experience. It would also be useful to link us to some samples of your work (video or audio). E-mail: info@notnowcollective.com with “Pepper and Honey Sound Design” in the subject line. Notnow Collective are looking for a male actor 25-45 for the Oct/Nov leg of DadMan: The Bathtime Warrior national tour, following an injury of our actor. You would need to be ideally West Midlands based, a great performer, confident singer, good mover, and happy to perform in a show for adults that welcomes babies in the audience. 5 days rehearsals TBC between 15th and 23rd Oct. Deadline for submission – midnight 26th Sept. Auditions 3rd Oct. Please e-mail your photo, CV and cover letter to tina@notnowcollective.com with DADMAN ACTOR in the subject line. BAME, non-British background, and actors with caring responsibilities particularly encouraged to apply. Notnow Collective is proud to announce that our newest project DadMan: The Bathtime Warrior we has been successful in securing the funding from Arts Council and Sir Barry Jackson Trust Fund, alongside the partnership from MAC Birmingham, Derby Theatre, Attenborough Arts Centre and Wolverhampton Aren. In a nutshell this means a considerable growth for our small organisation: we are creating a brand new show, our 13 venues touring circuit widens beyond our Midlands borders and we go nationwide, and we will be further exploring what baby-friendly theatre is and delivering a focused audience development activity throughout the next 9 months! Check all the information and tour dates here. Deadline for applications is 27th April 2018. The interviews will happen on 1st May at Attenborough Arts Centre and will be fully welcoming of children. For more information and how to apply please check here. We are looking for a male performer (25-50) to join DadMan: The Bathtime Warrior team and play the part of DAD #2. You will be required to work for 1 week on the final R&D phase, and then rehearse for 4 weeks before the show goes out on a national tour. The deadline to apply is midnight Friday, April 13th! For more information, dates and how to apply please look here. Would you like to work with Notnow Collective? We are looking for a Project Manager, an Audience Development Officer and Production/Technical Stage Manager for the tour of DadMan: The Bathtime Warrior. We are looking for three passionate, driven individuals, curious about finding the variety in the way we engage with the arts and “baby-friendly” set-up of performances, and excited about supporting a young and ambitious theatre company. DadMan: The Bathtime Warrior is the second show by Notnow Collective, supported by Arts Council and Sir Barry Jackson Trust. The project includes nationwide tour throughout 2018 and 2019 and an audience development activity. We create work for adults to which we welcome babies. Our focus is to help the venues in engaging new audiences, in particular parents of young children. By the end of the project, we want to have helped the development of a stronger and more recognized touring circuit for baby-friendly work, laying the foundations for organizing a consortium of companies who create in this kind of immersive way. If you want to find out more about each position and how to apply please click on the job title you are interested in. Present day, UK. Father walking down the street pushing a pram. He runs into a neighbor who remarks: “Giving Mum a day off?” Suddenly the ancient battle-horn is sounded, and the warriors are called to arms. Only, this battle turns out to be very different. DadMan: The Bath-time Warrior is a story about surprise, shock, change and fireworks of love. Developed by two Croatian mothers and performed by two British fathers, it’s aim is to search and recruit the warriors for a battle that no one ever fought till now. An eclectic mix of fiction and science, intertwined by intimate stories and combined with an epic combat with vacuum cleaners. We are packing again and hitting the road with our Wonderwoman, show for adults with baby-friendly matinee. Don’t miss the show! We are delighted to announce that we just became a mentored company on Little Earthquake Mentoring Scheme for the next year! Together with Noctium, theatre company from Coventry, we will enjoy all the advice, support and tips from experienced co-directors Gareth and Philip. Check more about Little Earthquake theatre and the amazing work they have been doing since 2005! We had a wonderful time performing Wonderwoman in mac, Stamford arts centre, Riverhead Theatre and Upstairs at the Western. In each venue, we had a baby-friendly matinee and an evening show. Wonderful! What an incredible show – funny, touching, moving, well scripted and totally accessible with little ones. Thank you for making me feel not alone with my feelings! Loved it. Could relate to so much. Fab ending. Great show, funny, engaging….says the things we’re all thinking but don’t say out loud. Soft mats and nappy throwing are hit! Oh my goodness me…that was just fantastic. It made me both howl with laughter and about to cry…. I only wish I could come again with other mum friends. Will definitely recommend. Thank you! Fabulous – thoroughly enjoyed myself. Thought-provoking and highly pertinent accurate. Wishing you every success and looking forward to the next one. Tina and Kristina, you were fabulous. Thoroughly enjoyed my first time back in the arts centre after 1.5 months. Loved the show. We were part of an exciting night of new work at the Derby theatre, scratching some new material alongside other associates of In Good Company. After Tobacco Factory Theatres in Bristol and Maia Creative Nights in Birmingham, we scratched new material from our project in development The Fatherhood Project. Loved it! Loved the hoover stuff! Very true to my experience and being a new family. Really interesting seeing the subject matter from the male perspective as generally used to seeing it from the female perspective. Loved the element of mirroring the show and the hoover advert. It’s very interesting, not like anything I’ve seen before. Enjoyed the research and the hoover documentation. Really interesting to look at it from the male perspective and see where your female voice sits in it. Really great scratch – loved it! Can’t wait to see the work’s development. Nice balance of comedy and sincerity. Great to see this angle on parenthood. So far the piece feels warm-hearted, light, accessible. Definitely interested to see where it goes from here and how the story develops. notnow Collective received Arts Council grant for the tour of Wonderwoman The Naked Truth! We are taking the show to Birmingham, Stamford, Louth, Leicester, Derby, Lincoln, Wolverhampton, Redditch and Coventry. We are over the moon to announce that we have been selected as one of the associate companies for In Good Company. And this means 2 very, very exciting years ahead. In Good Company is a professional development program for artists making work in the East Midlands which aims to engage, develop and inspire, and is led by Creative Producer, Ruby Glaskin. The scheme was launched in 2014 by three partner venues, Derby Theatre, Create Theatre in Mansfield and Attenborough Arts Centre in Leicester, with the support of Arts Council England. It has now developed into a 5-venue partnership to include: Mansfield Venues (Old Library, Palace Theatre), Lincolnshire One Venues (Lincoln Drill Hall, South Holland Centre, Guildhall Arts Centre) and The Brewhouse, Burton. In Good Company has been a vital addition to the artistic landscape of the East Midlands, receiving a second grant from Arts Council England of £116,000 in July 2016. 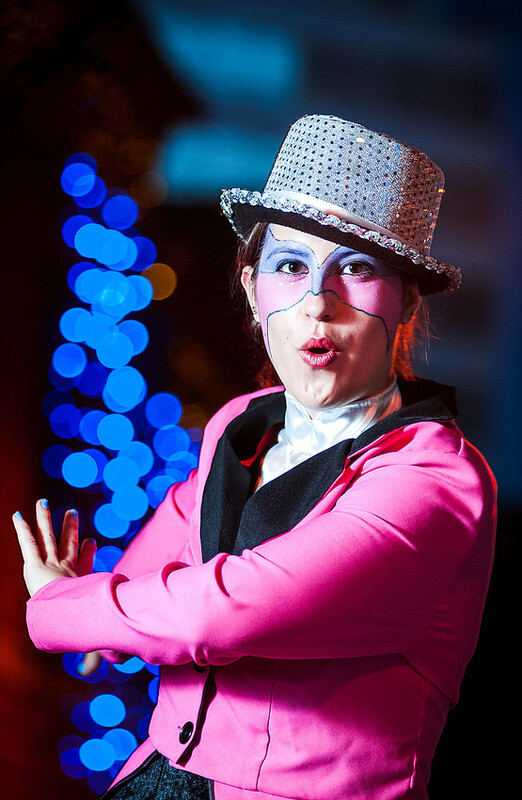 Flickbook Theatre, a Lincoln-based company who are intent on devising vibrant and brave theatre. 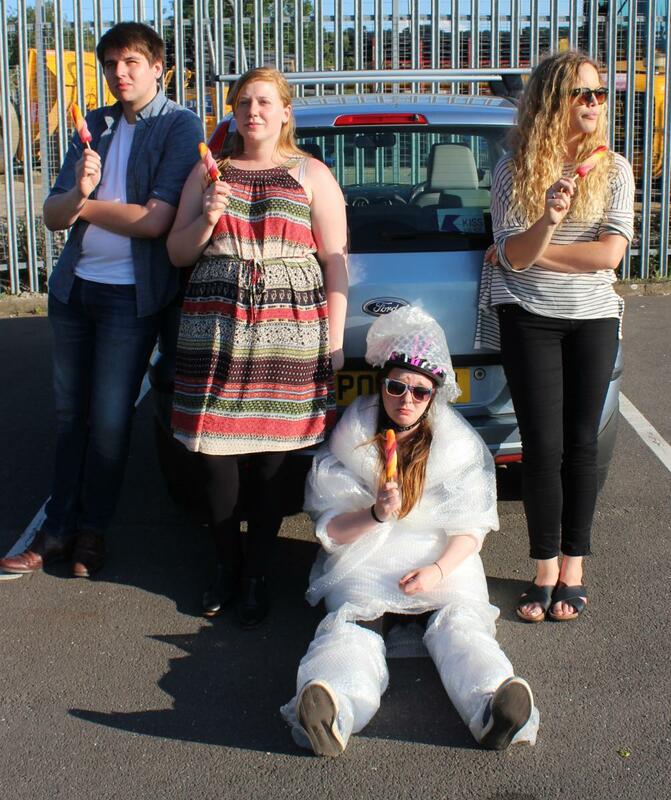 They are experimental and multi-disciplinary theatre makers who glory in the little absurdities of real life. Their philosophy is ‘Whatever floats your boat’ (but doesn’t sink anyone else’s). 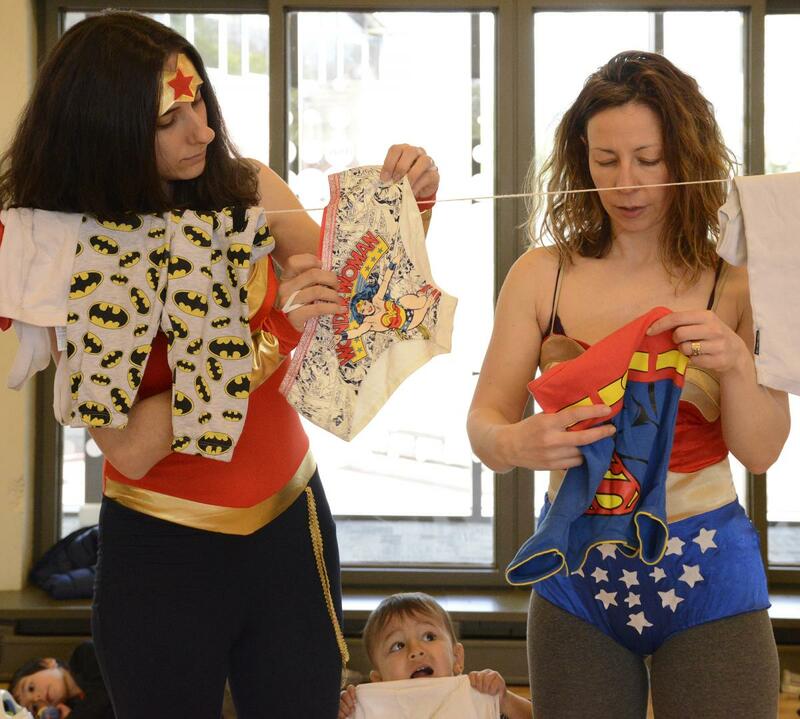 notnow Collective, founded by two regionally-based Croatian artists, Tina Hofman and Kristina Gavran out of necessity to make their caring roles visible and explore ways of integrating parenthood into both professional practice and quality theatre experiences. Louise White, an artist who is passionate about theatre without a fourth wall and whose work is highly interactive and creates a sense of community – devised theatre with participation at its heart, a mix of autobiography, social contexts and a pinch of the ridiculous. David Ralfe, an artist who trained at the Jacques Lecoq Theatre School and on the National Theatre Director’s Course. 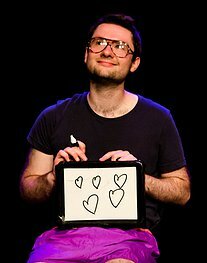 For the past five years, David has been creating and touring shows with his company On The Run, and he is currently working on international projects in China and Georgia with the British Council. Over the coming months, he’ll be setting up a brand new company, based in the East Midlands. On Sunday 23rd October at Tobacco Factory Theatre in Bristol we are part of Prototype program: experiments in theatre. With other wonderful artists we will be sharing new materials from our new piece focusing on fatherhood. On stage is Father. He is rushing to pick up his Daughter from school. Last night his Wife gave birth to their Son. His wife is Croatian and Father is not. He has to organise a celebration in honour of his Son’s birth. It usually involves lots of drinking. He doesn’t feel like doing it, but this is a tradition in Croatia when a male child is born. We hear interjections from Wife. We never see her, only hear her voice. We want to focus on the subject of fatherhood. Our aim is to investigate in what way we can orchestrate an exciting dramatic journey through the interruptions and instructions. This is an invitation to come along to the new Birmingham-based branch of Mothers who Make, a growing national initiative aimed at supporting mothers who are creative practitioners – professional and/or passionate – writers, painters, actors, dancers, musicians, film-makers, producers, designers,….every kind of maker welcome, and every kind of mother. Also please feel free to bring along your children, of any age, whether they are inside you, beside you or running round the room. Mothers of older children are also extremely welcome. Mothers Who Make was founded by Matilda Leyser, a London based performer and a writer. notnow Collective teamed up with her wanting to support mothers makers in our local area. notnow Collective was founded by Tina Hofman (theatre maker) and Kristina Gavran (writer) with the aim to explore how to continue professional career whilst being a parent. Our first show Wonderwoman: The Naked Truth just finished the run at mac Birmingham, and are booking a tour for 2017. It looks into different sides of motherhood, career and multitasking, and was inspired by Lyn Gardner’s article “Parents in the Arts Need To Stage a Revolution”. Initially we thought we were the only mothers- artists struggling to keep it all going, but with the research and networking over the past year, we found out there are so many facing similar questions, uncertainties, joys and frustrations. Being a mother is regularly accompanied by feeling of missing out, guilt or feeling of letting someone down, whether this is within our family, or our career. However, our work as individual artists, as well as notnow Collective, is profoundly influenced by our mothering and caring role, with all the order and chaos that comes with it. So, Wonderwoman: The Naked Truth at mac was truly successful! We managed to accompany a fabulous team of creatives with Hannah Silva taking the director’s chair and Georgie Lee being the most wonderful stage manager! More than that, we had babies in three out of four shows, and one of the shows had over 75% carers with babies in the audience! Big thumbs up for Tim Hodgson and mac Birmingham for being really passionate about investigating artistic practices: believing that parents in the arts should still have access to work, and to be able to see high quality work whilst being with their babies! Keep tuned in, we’re planning a Wonderwoman: The Naked Truth tour for early 2017! Tickets for our show Wonderwoman – The Naked Truth are on sale! Come and join us for our relaxed, baby friendly matinee or evening performance. Our friends at The Old Rep Theatre invited us to test some more new material from Wonderwoman:The Naked Truth! As part of the celebrations of the International Women’s Day notnow Collective are joining an all female line-up at an evening event, starting at 7pm. However, as a special bonus, The Old Rep have organised a 2pm matinee for all who cannot make it to theatre in the evening, including parent/carer-baby audience. So, come and give as some feedback on our progress! We will be scratching some brand new raw material from Wonderwoman: The Naked Truth at MAIA Creatives Scratch evening at Centrala in Digbeth on 25th Feb 2016 at 8pm. Notnow Collective are joining line up of fabulous artists who are all trying out their brand new material. Come and give us your feedback! We are delighted to announce that we were awarded funding from Arts Council England for the development of our first project Wonderwoman: The Naked Truth. The project will be developed in partnership with mac, Birmingham and The Old Rep, and will open at the mac in May. So far we know there will be four performances on different days, including two relaxed parent-baby performances for carers who wish to see theatre but have to bring their babies along. This autumn Impact Hub Birmingham and Famalam teamed up in delivering the pilot project Co-Work/Play as a part of #RadicalChildcare response. notnow Collective took advantage of 3 out of four pilot sessions. This meant super-focused 3 hours of work for us, and super-creative play for our children. We are also proud to affiliate the birth of our company and launch of our website to this amazing subsidised initiative. In October we were delighted to be a part of the second ever New Work Nights at The Old Rep Theatre. This was a beginning of a beautiful friendship. On October 16th 2015 at Young Vic Theatre in London we participated at the launch of Parents In Performing Arts (PIPA) initiative. In practice, this meant having a full theatre with over 400 people and over 70 children discussing the reality and the future of being a parent in the industry. This positive experience proved that having kids present at the conference resulted in a very unique, but well managed, responsible and humane atmosphere, which is a practice we look forward to seeing develop. PIPA’s work is currently focusing greatly on improving the services for London artists, and we are going to be this initiative in the Midlands.